When seeking a place to live, one may ponder, “What are the top five biggest cities in America?” “Biggest” can be ambiguous, and could mean anything from amenities such as restaurants, bars, athletic clubs and activities, parks and recreation, sports teams, libraries and museums, educational facilities, to location, weather, air quality and infrastructure. These factors typically contribute to the decision process for active adults seeking a balanced lifestyle in work, home, and play. According to the 2010 US Census, the Cities of New York, Los Angeles, Chicago, Houston, and Philadelphia ranked by population as the “5 Biggest Cities in America.” New York, Los Angeles, and Chicago placed top in hierarchy in the 2012 Global City Index as Alpha Global Cities. Important to the global maintenance of the world economic system, there are 55 World Global Cities, determined by rank as Alpha++ to Alpha-. Ranked and determined by strong economic, political, cultural, and infrastructure characteristics, New York, LA, Chicago, and Philadelphia all placed in the Alpha category, while Houston placed in the Beta+ category. 1) The City of New York, an Alpha ++ City, boasts the highest population of 8,175,133. 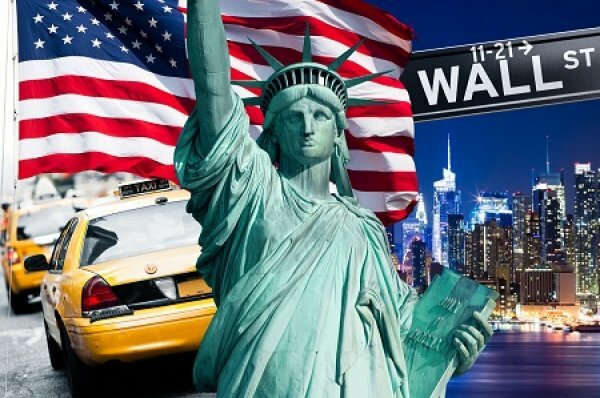 It is a mover-and-shaker city, as it holds the center of finance (Wall Street and the New York Stock Exchange), and is a major center of commerce due to its large, natural harbor, thus appealing to trade. The arts and entertainment are a prime draw (Metropolitan Museum of Art, Broadway and Off Broadway); the fashion industry is a necessary accessory to the City of New York (New York Fashion Week, and we all know how important Manolo Blahniks are to the New York fashionistas to see and be seen); and media and technology (MSNBC Studios, CBS Corporation, The NY Times). New York is also known for its tall skyscrapers and landmarks. The City was once boasted the tallest structures in the world, the Twin Towers, part of the World Trade Center, until they were destroyed on September 11, 2001. A memorial to the casualties of that horrendous day now sits in place of the Twin Towers, while the site awaits the construction and completion of One World Trade Center. The Statue of Liberty (or more lovingly), “Lady Liberty” (representing friendship between nations and freedom from oppression), stands tall and beautiful with its’ lit torch as it welcomes ships into New York Harbor, and once greeted millions of immigrants in the 19th and 20th Centuries. Many of those immigrants became the populous of New York’s five boroughs: The Bronx, Brooklyn, Manhattan, Queens, and Staten Island, which became consolidated as the City of New York in 1898, thus becoming a melting pot of culture and diversity. 2) Los Angeles (also nicknamed The City of Angels), is located on the West Coast and sandwiched between the beautiful Pacific coastline and the picturesque backdrop of the Santa Monica Mountains, and falls second in population at 3,792,621. This city offers much of the same amenities as New York, with more desirable climate and sunshine. Ranked an Alpha city in the Global Cities Index, its location offers opportunity to commerce and finance as a leading business center in international trade, the sciences and education. It is the home base to Hollywood and CBS Studios, a creative and technological conglomerate of television, motion picture, music, and video game production; and a second home to the US fashion world. Los Angeles is also home to the International LAX, the third busiest US airport by total passenger boardings. The City of Angels is a melting pot of cultures and socio-economic diversity, offering healthy lifestyles within a fast-paced setting. 3) Chicago- Third on the list by US statistics with a population of 2,695,598, and situated on the southwestern shores of Lake Michigan, Chicago is also a global hub of international trade. Nicknamed The Windy City, Chicago is located in the Midwestern United States, and a part of the Great Lakes region. As an Alpha+ city, it is positioned with global hotshots such as Hong Kong, Paris, and Dubais, and filling advanced service niches for the global economy. It is the home of O’Hare International Airport, the second busiest airport in the US. During the late 1800’s, Chicago became known as the nation’s railroad center, and in 1883, the North American Time Zones was established here by the general time convention of railway managers, creating a uniform system of time for North America. Chicago is a city of cultural history, a melting pot of European and Eastern European immigrants and migrants, with stories of gangsters, racial and political unrest, labor conflicts, and a source of political change. During the 19th Century, the city emerged as a major hub of railway and marine transportation between the eastern and western United States, creating the opening of the Illinois and Michigan Canal, which allowed sailing ships and steamboats on the Great Lakes to connect to the Mississippi River, and was the basis of development to the international hub of trade the city has become today. Chicago’s romantic lure lies in that very culture and history, as visitors are drawn to its tumultuous reputation and ability to pull through the change of time. The city continues to be a draw for its history of architecture, arts, and jazz. 4) Houston- Forth in rank is Houston, boasting a population of 2,099,451, and ranked as a Beta+ City in the Global Cities Index, and the economic center of Houston-Sugar Land-Baytown, and fifth largest metropolitan area in the US. Houston houses a broad industrial base of energy (natural gas exploration), manufacturing (petrochemical refineries and manufacturing plants), aeronautics (NASA’s Johnson’s Space Center and Mission Control Center), healthcare and transportation. Its University System equates to that of a major corporation, creating thousands of local jobs and boasting graduates that find work in the greater Houston area with 80.5 percent still living and working in the area after five years, according to a report of The Economic Impact of Higher Education on Houston: A Case Study of the University of Houston System. It is also a city of diverse culture, with nearly two-thirds of the population from South of the US-Mexico border, and one-in-five residents from Asia, and is residence of the nation’s third largest consulate offices, with 86 represented countries. Houston has a 17-block, downtown theater district, with six performance halls and nine performing arts organizations, from theater to opera and ballet, and orchestra. It is home to the notable Houston Museum District, and 337 parks, offering the most total green space of the ten most populous US cities. 5) Philadelphia comes in as 5th biggest city, with a population of 1,526,006, and ranks as an Alpha- city in the Global City Index. Known as The City of Brotherly Love, Philadelphia is a home to early US history, the signing of the Declaration of Independence in 1776, and the signing of the Constitution in 1787. It has been our nation’s capital, and was once a major industrial center and railroad hub that developed with the influx of European immigrants during the 19th Century. Its financial sector and health education and research have contributed to a high service-based economy for the US. Philadelphia offers a lure of rich history, architecture, and culture.